Razer DeathAdder Elite: Should I buy this mouse? The Razer DeathAdder Elite is an update to the Razer DeathAdder line, which includes the competent DeathAdder Chroma, giving gamers full RGB lighting control while maintaining the look and feel of the previous award winning gaming mouse. The DeathAdder Elite is a fairly affordable gaming mouse with good overall specs. It has seven programmable buttons, two zones of Razer Chroma lighting, and an incredibly high maximum DPI of 16,000, though we don’t believe the max DPI says much about a mouse. What’s more important here is the 1000Hz polling rate, and the fast hand movements the mouse sensor can handle. Inside the DeathAdder Elite is a custom made 5G sensor Razer created in partnership with with Pixart (the maker of most of the best mouse sensors). This sensor can handle accelerations up to 50 G while maintaining accurate tracking at 450 inches per second (IPS), which puts it on an even footing with the best gaming mice. All of this performance packed comes packed into a gaming mouse that costs just $69, though its age makes it easy enough to find for a slight discount. If you’re a fan of the DeathAdder design and want a high performance gaming mouse, this one fits. However, there are some alternatives that may be more compelling. The Razer DeathAdder Elite’s combination of high DPI, high IPS and high acceleration thresholds may stand out for the price, but there are other competitive mice on the market that may hold more appeal for gamers or other advantageous features. Razer’s own Mamba Elite is a step up from the DeathAdder Elite, adding more buttons and more lighting zones for a small step up in price. 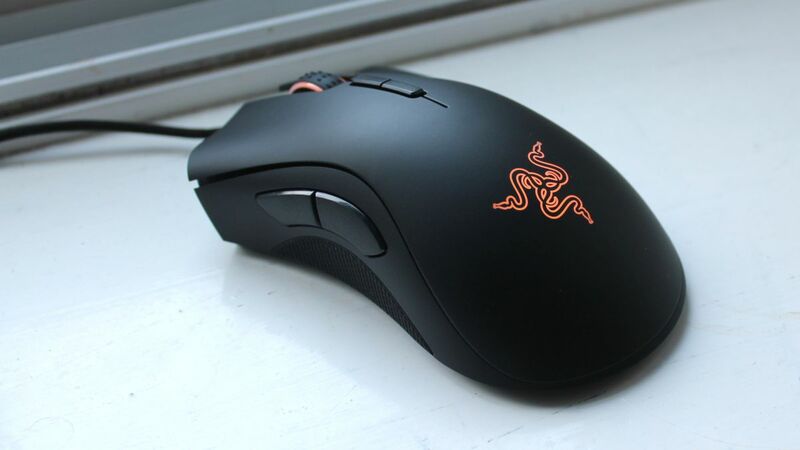 The Mamba Wireless, on the other hand, is functional equivalent to the DeathAdder Elite in terms of buttons, specs, sensor and the added ability to use it wirelessly – though that comes at bump in price. Perhaps the most compelling competition for the DeathAdder Elite comes from SteelSeries. The company’s top mice never cease to impress us. For $79, just a hair more than the DeathAdder, the Rival 600 is ready to offer a best-in-class gaming experience. It can handle the same acceleration, but not the same IPS or DPI. However, its TrueMove 3 dual-sensor makes for astoundingly accurate tracking, and it’s design is also remarkable with excellent lighting and custom weights. And, for less than the price of the DeathAdder elite, both the Sensei 310 and Rival 310 offer incredible performance, solid construction, and two-zone RGB lighting to top it off. With the competition in mind, we’d only recommend the DeathAdder Elite if you can’t spare an extra $10, or if you know you need 16,000 DPI and tracking at 450 IPS.